This Van Is ideal for removals and will carry approximately the contents of a 1 or 2 bedroomed flat or house. The tailift makes the job a lot easier. See the description below for dimensions. Call us for advice on 01224 621002 to discuss if this vehicle is suitable for your needs. 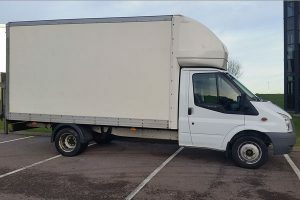 Luton Van plus Tail Lift Dimensions in metres.